Thank God for WordPress and all the wonderful blogs I follow! 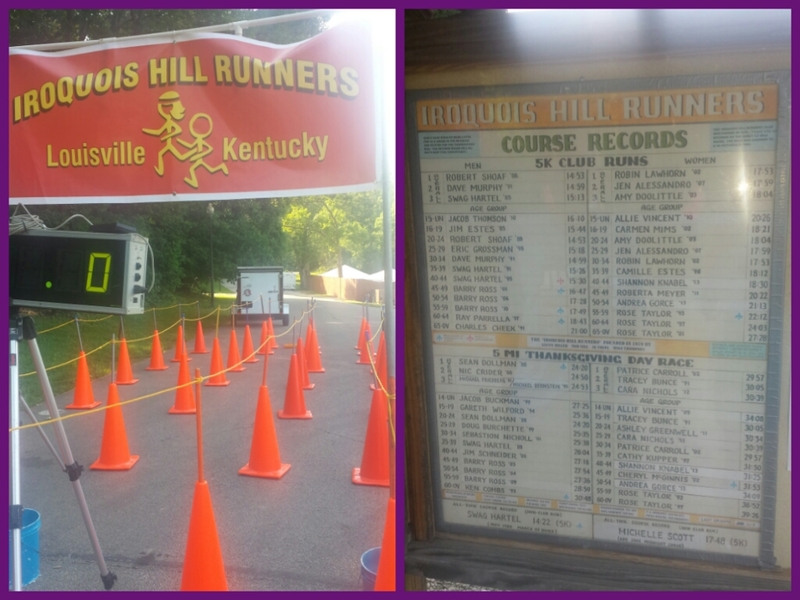 A couple days ago, I read about a 5K hosted by the Iroquois Hill Runners. The uniqueness of the race is the all you can eat pizza at the finish line. Pizza is my favorite food so I knew I was down to run this race regardless of the 90° temps predicted in the forecast. Another motivator was the $3 entry fee! Yes, you read that correctly. The race fee was only $2 for members of IHR. I am technically in week 1 of marathon training but still doing my normal routine because my training base is already weeks ahead. I was up at 4:45 for spin class. I got there late but still squeezed in an hour before work. During lunch, I did my normal 1 mile walk. I ate a few bites of fresh pineapple after work and made my way to Iroquois Park. We ran counterclockwise around the park. I am used to clockwise around this park so I wasn’t familiar with the hills and turns going backwards. It was mentally challenging and took my mind off the sweat pouring off of me. I was 2nd place overall woman. Before I knew it 2 ladies passed me but I caught both of them on the downhill as I lengthened my stride. Thank God for long legs and my core held it all together. The hills and heat are wearing on me. The group has thinned out and it’s just me and the breathing of one of the chicks who I just passed. She swooped in on an uphill curve. I told myself I would pass her again. The other girl was no where to be seen or heard. We approached a water stop and I told the volunteers I would push to the end. The energy to sip would cost my time and focus. What’s 1 more mile? I was waiting for the last downhill so I could do my signature finishing sprint. The one girl picked up her pace and I said forget trying to catch her. 3rd overall is good enough and this was my 2nd work out of the day. But hold up! Here comes another breather over my left shoulder. I refused to let them pass me. I could see the orange cones at the finish. I knew it was a guy and every competitive bone in my body let him have it! I didn’t let the blister on my baby toe and the rubbed skin from improper spinning shoes slow my stride. I beat him! Due to the heat and time of day, this was the hardest 5K I have ever run. Next, would be Hooters to Hooters in Clearwater, FL (humidity) and #3 the Auto Show Shuffle due to the sub zero wind chills. Our reward was at the end…plenty of pizza! Everyone was so friendly and telling me how good I ran. One guy asked me if I ran in HS. He said my form was excellent. I ate 2 plates of pizza. Next thing I know, one of the IHR brought me over an XL box of pepperoni pizza. I thanked him and told him I will give it to my students. My Smoodents are going to love me for this! I made them be good all day because I had a race after school. They know how seriously I take running. The next IHR event will be the Ice Cream 5K on July 15th. I will be there! A special Thank You to Iroquois Pizza! I don’t chase boys. I pass them. 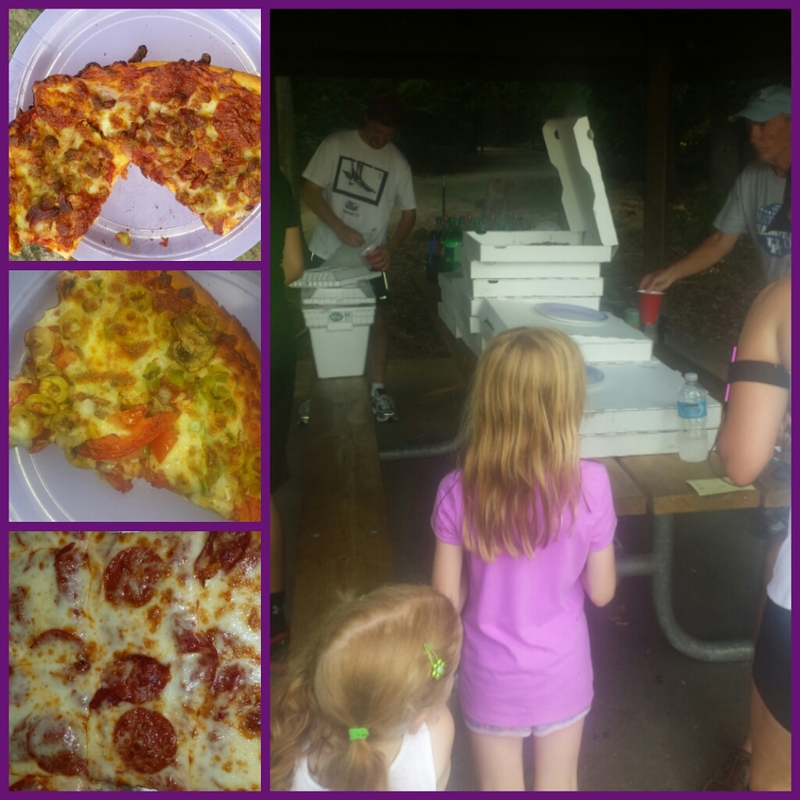 This entry was posted in Louisville, marathon, running and tagged IHR Pizza Pig Out 5K, Iroquois Hill Runners, Iroquois Park, Iroquois Pizza. Bookmark the permalink. Nice job surviving the heat!! 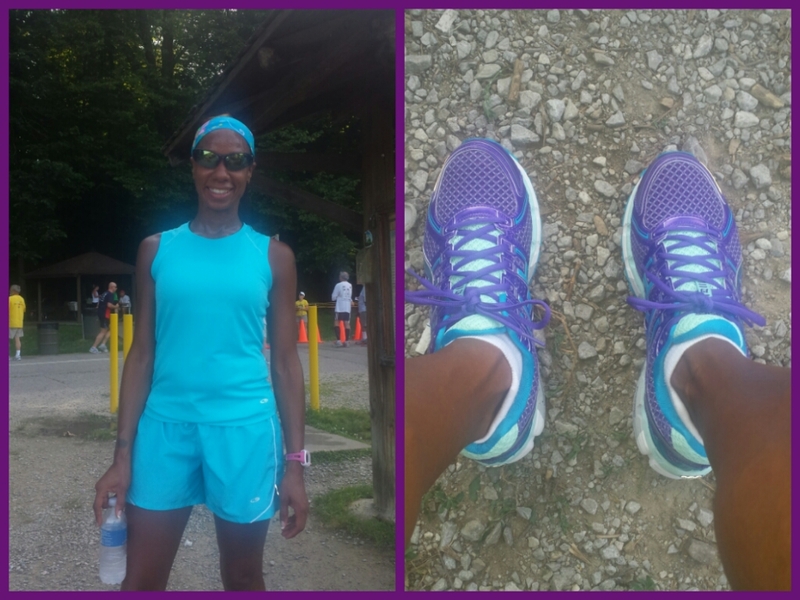 I just started running in the Gel Kayano 19s too – shoe twins!! Hey Shoe Twin! I ran in them for a 2nd time this morning and they are definitely going to take a beating from marathon training. I picked them up for 50 bucks at the Nordstrom Rack. Your speed is so inspiring to me. I wish I could have made this one…but, alas, I didn’t get out of work on time. I DO hope to make the ice cream one. You know (despite being lactose intollerant) how I feel about ice cream! 😀 Maybe you can teach me to push harder. I’m still so tentative with my ankle…and it’s been flaring up this week. Might be due to the heat. UGH!! Trying not to worry too much about it or cry…even when I want to. That being said…ROCK ON GIRLFRIEND!! I only dream of having long legs…you are so naturally talented in running. Keep on being amazing. My speed + your endurance = Elite! Yeah, both extremes are hard to chose between. I’m leaning towards favor in heat because I don’t like to layer and my fingers and toes feel numb. Lucky for us, we get all four seasons for our region. I bet Cincy has some challenging hills too. Congrats!!! Way to go! I gotta say, pizza is a weakness of mine and your pics aren’t helping!!! In my 10k the other week, a local pizza chain was there to pass out samples. It was so gross. Not appetizing at all, but your pics look amazing! Isn’t Clearwater, Fl home to the first ever Hooters? I went there once! We had at least 5 different varieties. Pep, garden, pinneaple ham, meat lovers and cheese. They did not skimp on the toppings either and it tasted better than the national pizza chains around here. Yes, Clearwater is home to the first Hooters! The race is held annually with an out and back course from their parking lot. What we won’t do for pizza! You know I wasn’t shy to get 2nds! There was plenty to go around and another 10 or more boxes were delivered in addition to what is in the photo.